A premier destination for exciting and innovative Asian images. 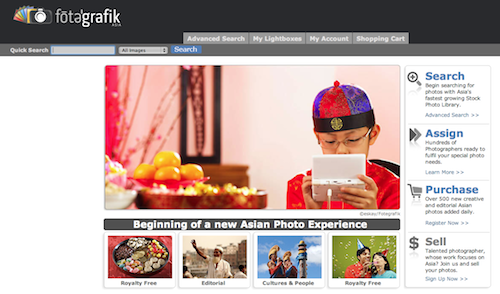 We built fotegrafik.com from the ground up to make it the premier destination for exciting and innovative images of Asian topics and interest. Whether you're looking for that perfect image for your advertising campaign, publication article, or corporate newsletter, we've got the right one for you. In addition, we can use it as a platform to deliver your eCommerce and image management platform as well.